Each day, over 80,000 puppies and kittens are born in the United States. This has created an animal overpopulation crisis of huge proportions. Because there are not enough homes, 4 to 6 million helpless animals are euthanized each year. Heavenly Paws is committed to doing our part to stop the pain and suffering that comes with overpopulation. Our fund raising efforts enable us to offer financial assistance for spaying and neutering. We can help. Please Contact Us for more information. Thousands of animals have been left behind as families struggle to work through an economic crisis that has left many animals in need. If you become aware of an animal that has been abandoned due to home foreclosure or if you must give up your own animal, please Contact Us. We can help. 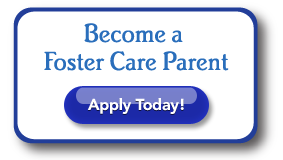 We provide wellness care and forever home placement for Orphans of Foreclosure.